← In a Vase on Monday: I Wish…. In my ebook Guess What’s in my Garden! I included a chapter that tries to answer the question: What is a Garden? Please understand that I am not a vegetable gardener. 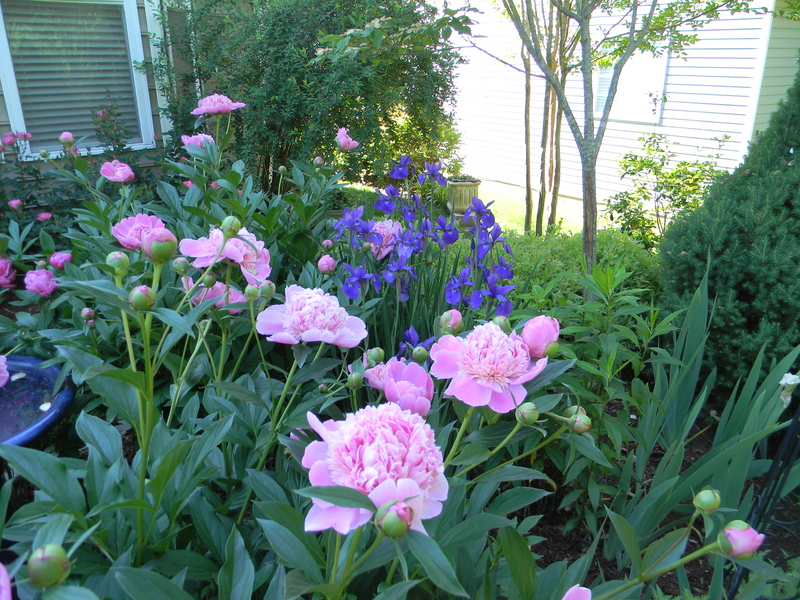 Rather, my gardens have been created around trees, shrubs, perennials, vines and the occasional annual. Depending on ones perspective, different answers present themselves. Here is one perspective from the article. I plan to make this a regular Thursday offering for a few weeks to share other perspectives from that chapter. I would welcome your thoughts. This entry was posted in Gardening and tagged Guess What's in My Garden!, What is a Garden?. Bookmark the permalink. I like your definition, which does not limit the garden to selections of plants. Indeed (although not my fancy) it is possible to create a striking garden without any growing things whatsoever. The famous rock garden in Japan is a classic example. I attended a symposium of Spanish and Italian garden designers who were dealing with historic gardens and they posed the same question. The phase we came up with is “A garden is an outside space designed for the enjoyment of its owner (patron) and is invited guests”. This works for any size garden and for any level of society so I like it a lot. Some gardeners aren’t artists and their choices aren’t artistic but their space would still be a garden. I look forward to more on the garden. I used to be an avid gardener when I lived in England but on moving to Canada I found the climate and small children a challenge. Now the children are grown but the climate remains more or less the same. And now horses have taken up the passion in my life. So I will enjoy a “virtual” garden experience with you. We do change, don’t we, when the kiddies are out from under? Thank you, Tresa, Just trying to get folks to think about this wonderful hobby.